Why Do Recent Developments in U.S. Trade Policy Matter to Korea? This post originally appeared on The Spectrum Group website. 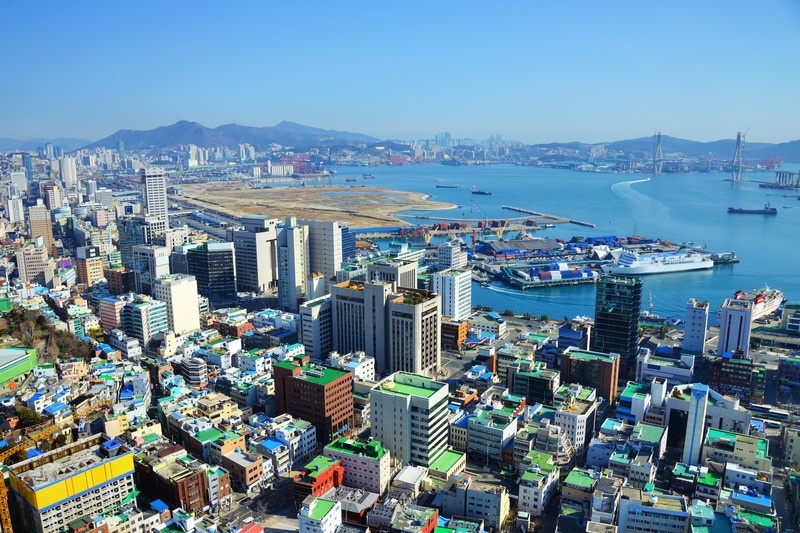 Over the past four decades South Korea has experienced incredible economic growth and global integration to become a high-tech industrialized economy. In 2004, South Korea joined the trillion-dollar club of world economies. However, one of the long-term challenges that the South Korean economy faces today includes its heavy reliance on exports. Global markets are clearly of critical importance to South Korea. In addition, Korean companies have major investments in many places around the globe, e.g., in the U.S., the EU and Mexico. It is a fair statement that trade and investment are the lifeblood of South Korean economic growth. The United States and Korea have strong economic ties in terms of trade and investment. In fact, the U.S. and Korea already have a bi-lateral free trade agreement (Korea-U.S. Free Trade Agreement or KORUS). Korea is the 6th largest trading partner of the U.S. and two-way trade in goods totaled $145 billion in 2014. Nearly 95% of consumer and industrial products will be duty free by 2017, creating even more significant business opportunities for both countries. So why should Korean companies care about the other agreements that the U.S. is negotiating? One reason is its heavy dependence on export markets. Also, Korean companies have investments in countries covered by those agreements. For example, the Korean automotive sector has significant investments in Mexico, which could benefit greatly from the Trans-Pacific Partnership (TPP) (although they already receive benefits from NAFTA). Korea also has strong ties to the EU, with whom they also have a free trade agreement. The EU and South Korea are important trading partners. South Korea is the EU’s eighth largest export destination, whereas the EU is South Korea’s fourth export destination (after China, U.S. and Japan). In 2014, EU imports from South Korea totaled 38.8 billion EUR, the main product categories are machinery and appliances, transport equipment and plastics. The EU records a significant surplus in trade in services with South Korea. In 2013 EU exports of services to South Korea amounted to 10.6 billion EUR, compared to imports of 5.6 billon EUR. South Korean investments in the EU have increased substantially from 13.1 billion EUR in 2010 to 18.9 billion EUR in 2013, representing 0.5% of the total inward foreign direct investment (FDI) in the EU. Over the same period, EU investments in South Korea decreased slightly from 37.5 to 32.6 billion EUR, representing 23.8% of the total FDI in South Korea. International trade with the U.S. and EU has significant effects on the U.S, EU and the South Korean economies. Thus, the Trans-Atlantic Trade & Investment Partnership (TTIP) is important to all. Korean investments in both the U.S. and the EU could benefit from the TTIP. The analysis of the question of why Korean companies should care about TPP and TTIP is far from simple. Let’s examine more closely the two major regional trade pacts that the U.S. is pursuing and consider how they impact South Korea. TPP, a historic regional trade pact involving 12 countries, including the United States, Japan, Canada, Mexico, Australia, Vietnam, Malaysia, and Chile, was concluded on October 5, 2015. TPP countries represent 40 percent of global GDP, 25 percent of global exports, and 30 percent of global imports. TPP is a high standard 21st Century Agreement, which includes comprehensive market access, eliminating tariffs on all goods representing some 11,000 tariff lines as well as non-tariff barriers to goods and services and investment. TPP seeks to promote a regional approach to commitments by facilitating the development of production and supply chains among TPP members and addresses crosscutting trade issues, such as regulatory coherence, competitiveness and business facilitation, digital trade among other things. It also contains special provisions for small-and medium-sized enterprises to enable them to engage more effectively and successfully in the global marketplace and provides capacity building for lesser-developed countries in the pact. TPP also builds on the labor and environment provisions of past free trade agreements. The impact of TPP provisions, such as regulatory coherence, digital trade and covering small- and medium—sized enterprises should provide significant advantages to companies in the region. TPP is notable in that it includes some of the biggest economies and also the least developed ones. For South Korea, the benefits of TPP membership are multifold: sizable gains from trade, greater bargaining power in ongoing negotiations with China and Japan to tackle non-tariff barriers, the rationalization of its FTA noodle bowl, and the consolidation of a forward-leaning alliance with the United States. For a country with ambitions to become an international trade hub, absence from a major platform to promote Asia-Pacific economic integration would be a lost opportunity. Some of the benefits could include sizable potential gains from trade. It is also said that a mega Free Trade Agreement (FTA), like TPP, can enhance production network efficiencies by allowing for accumulation of origin, significantly reducing costs of investing and trading for importing and exporting firms. It can provide integration into the regional supply chain and rationalization of FTA spaghetti bowl rules and rules of origin. Intermediate goods account for 68% of Korea’s total exports. Loss of position in TPP intermediate goods market, which amounts to over $2 trillion, can have an adverse impact on all Korean industries. Japan would be the biggest benefactor. Inclusion in TPP could also provide greater bargaining power in dealings with China and Japan to address non-tariff barriers. Finally, it could be important to Korea becoming international trade hub. Yet, TPP was completed and Korea was not included. The question is raised in regards to what should be the way forward for South Korea in regard to TPP? Some say that once TPP is passed by the U.S. Congress that there may be a second tranche of countries, such as Korea, the Philippines, Colombia and others. Of course, the first hurdle will be passage of TPP legislation by the U.S. Congress in an election year. The second will be deciding whether TPP is good for Korea and if the answer is yes – negotiating its way into the pact. Meanwhile, the United States is also negotiating with the European Union the Trans-Atlantic Trade and Investment Partnership (TTIP), which combined with TPP, would cover nearly 60 percent of global GDP. TTIP is also described as an ambitious, comprehensive and high-standard trade and investment agreement. It differs from TPP in that it is an agreement between two major trading partners as opposed to TPP, which involves 12 countries at different levels of development. That said, TTIP is not an easy negotiation given that what is left to negotiate are the tough issues. Also, certain issues such as Technical Barriers to Trade, Sanitary-Phytosanitary measures and regulatory cooperation tend to drill down to the 28- member state level thereby complicating the negotiations. Nonetheless, the parties have committed to the ambitious goal of completing negotiations by the end of 2016. The 13th Round was just completed in New York on April 29, 2016, and the parties plan to have additional rounds in July, September and December. Why would Korea care about an agreement between the U.S. and the EU? Like TPP, TTIP can have an impact on Korean companies given their investments in both the U.S. and the EU. The regulatory aspects of the Agreement could also benefit Korean companies. Moreover, pundits say that TPP and TTIP are templates for future economic agreements among the world’s most developed and least developed countries given the lack of success at the World Trade Organization (WTO). Thus, at a minimum it makes sense for Korea pay attention to these developments. The question is raised as to how proactive Korean companies would want their Government to become? Evelyn M. Suarez and Gillian Jaeger are members of The SPECTRUM Group, a premier government consulting and congressional relations firm in the Washington D.C. area since 1993. Solis, Mireya, South Korea’s Fateful Decision on the Trans-Pacific Partnership (Brookings Sept. 2013).